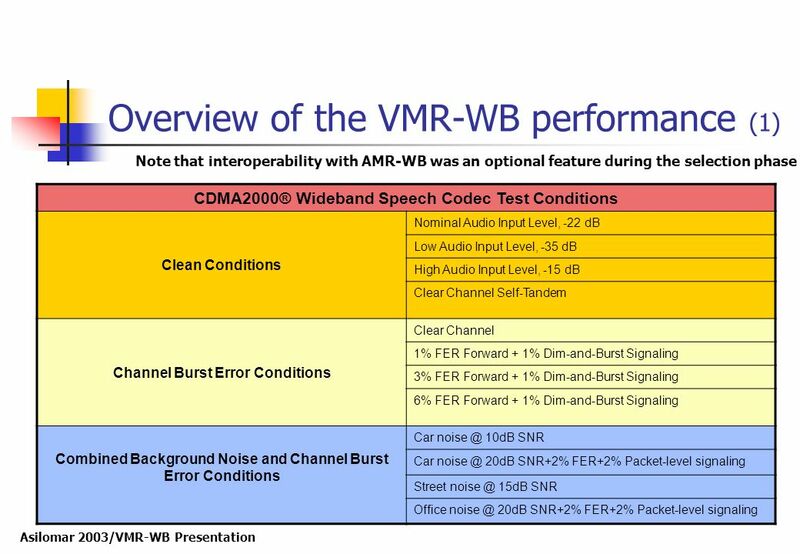 Download ppt "Wideband Speech Coding for CDMA2000® Systems"
Power Control. 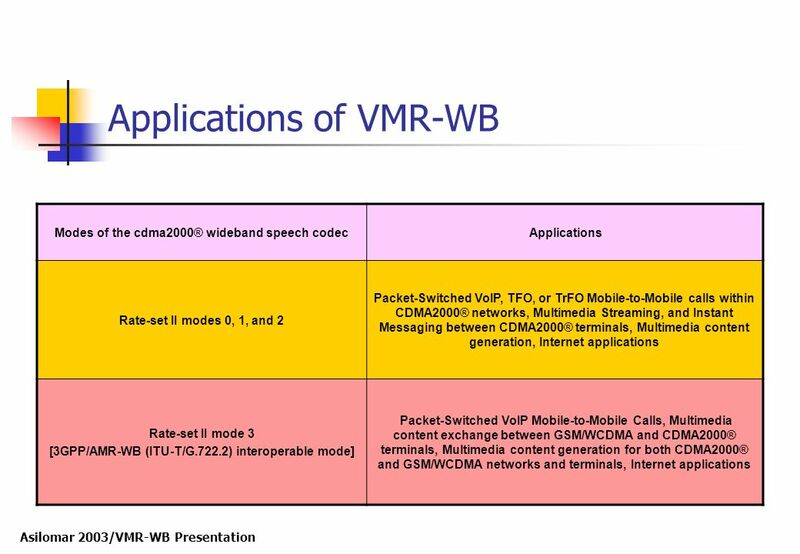 Objectives –Understand the purpose of Power Control in CDMA. 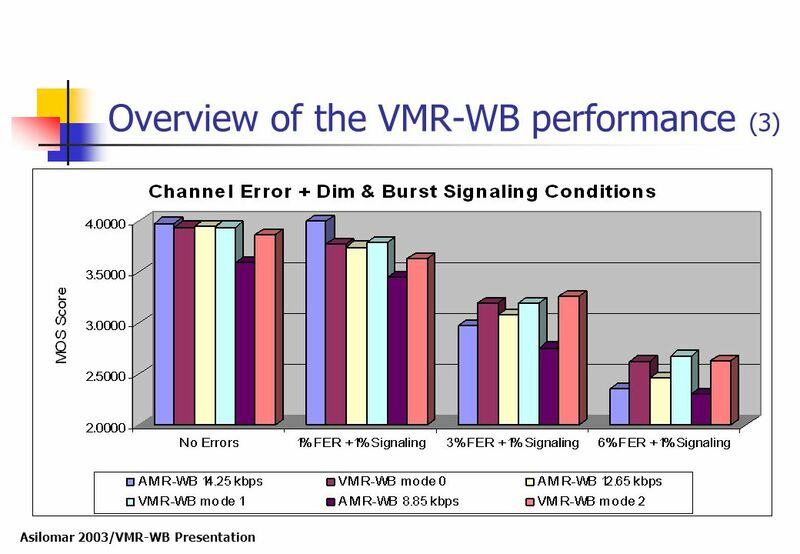 –Identify the different types of Power Control mechanisms used in CDMA »Reverse. 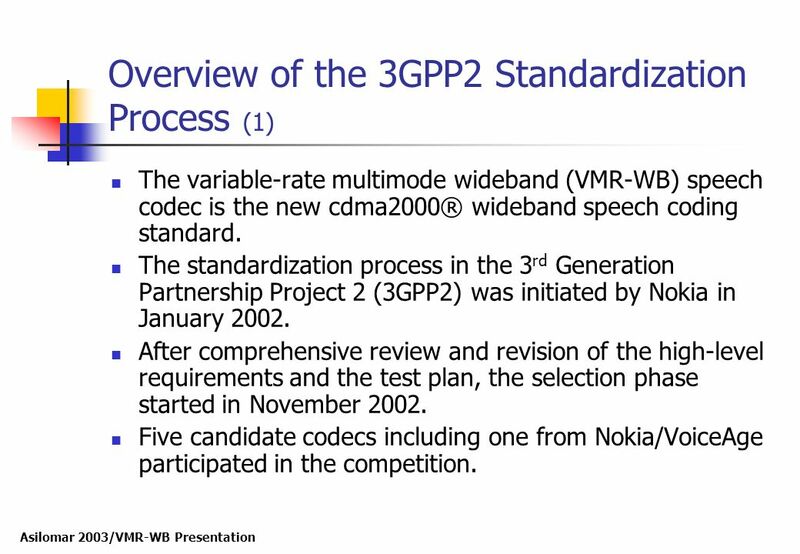 Multimedia Gateways & H.248/ MEGACO ITU Workshop on IP Networking & MEDIACOM-2004 April 26, 2001 Presented by- Clifford Sayre, Lucent Technologies. The Fully Networked Car Geneva, 4-5 March Automotive Speech Enhancement of Today: Applications, Challenges and Solutions Tim Haulick Harman/Becker. 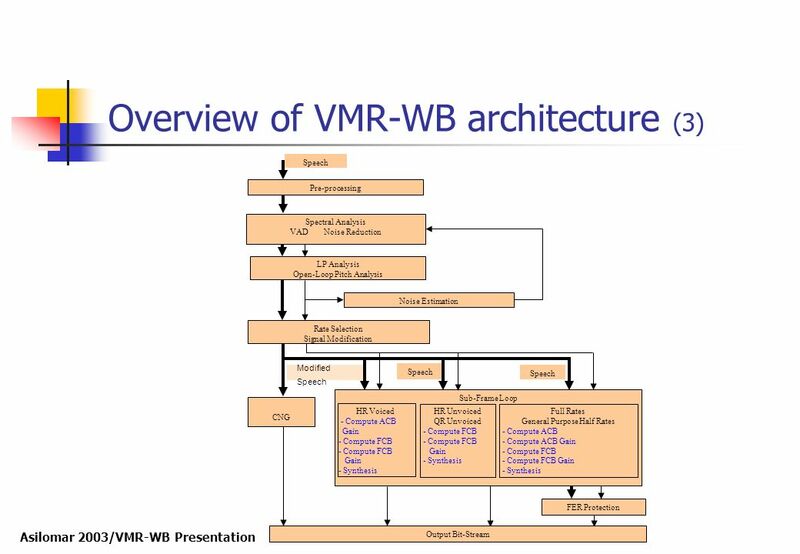 1 Haitao Zheng and Jill Boyce IEEE Transaction on Multimedia Leif 9/10/01 An Improved UDP Protocol for Video Transmission Over Internet-to-Wireless Networks. 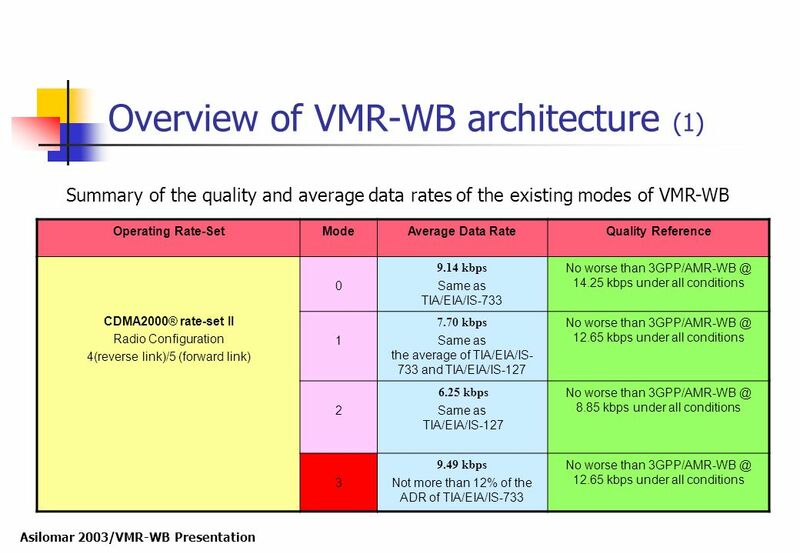 2005/01/191/14 Overview of Fine Granularity Scalability in MPEG-4 Video Standard Weiping Li Fellow, IEEE IEEE Transactions on Circuits and Systems for. 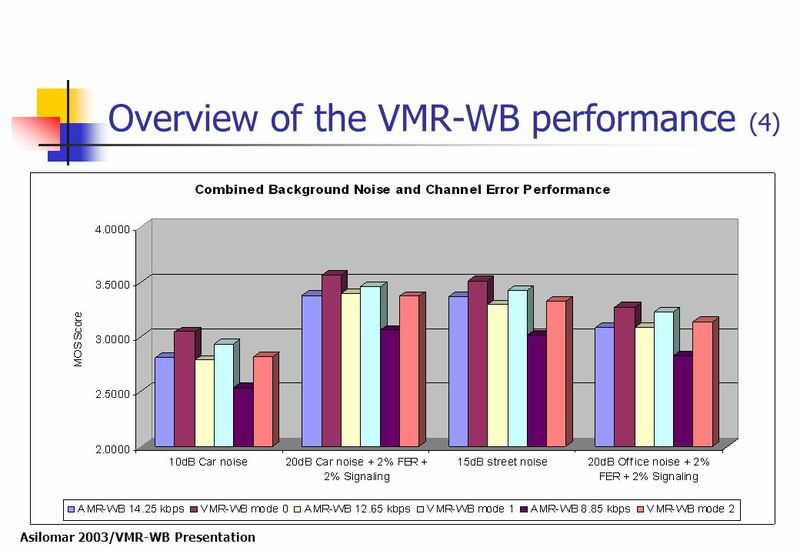 Part II (MPEG-4) Audio TSBK01 Image Coding and Data Compression Lecture 11, 2003 Jörgen Ahlberg. 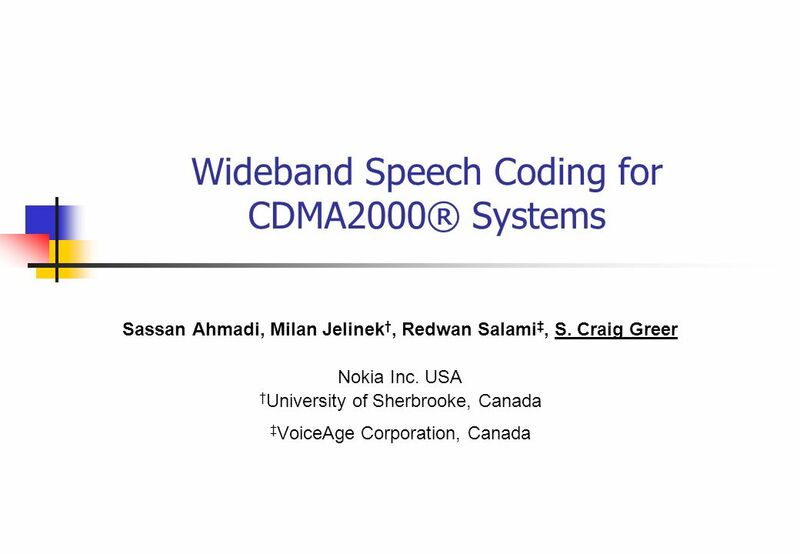 Speech & Audio Coding TSBK01 Image Coding and Data Compression Lecture 11, 2003 Jörgen Ahlberg. 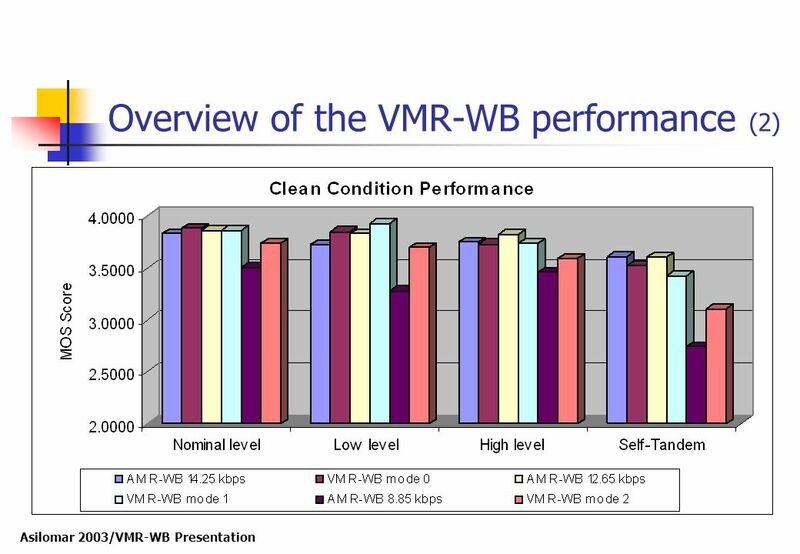 High Performance 32 Channel ADPCM Codec File Number Here ® LogiCORE Products. Fall Forum -- Keystone, Colorado USA -- November, 1999. © 2006 AudioCodes Ltd. All rights reserved. 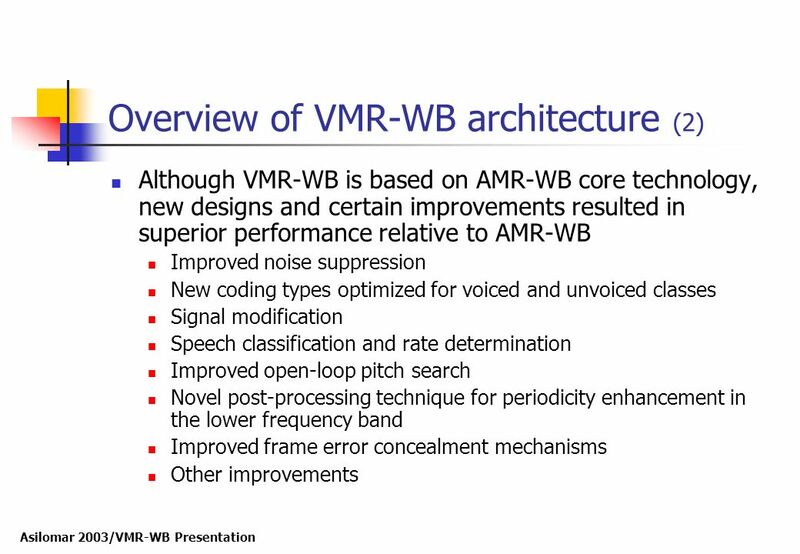 AudioCodes Confidential Proprietary Signal Processing Technologies in Voice over IP Eli Shoval Audiocodes. 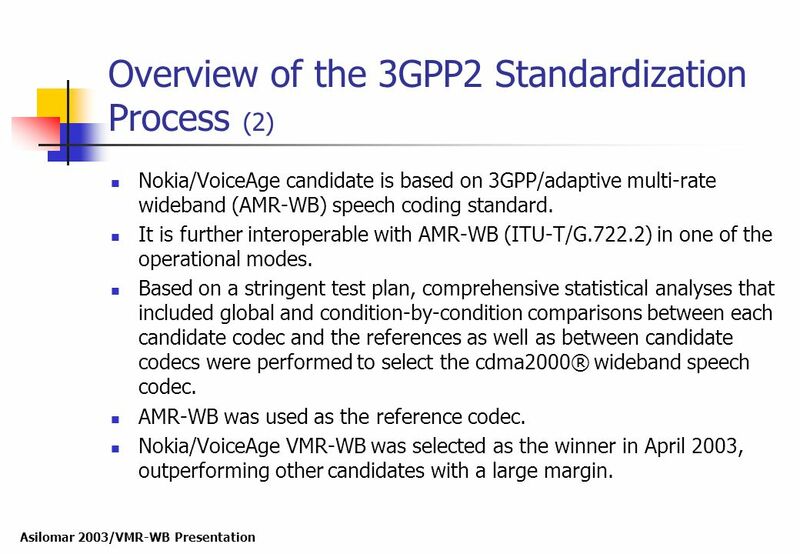 1 © NOKIA GPP2 Wideband Codec Presentation Interoperable Wideband Speech Coder for CDMA2000 and WCDMA Systems W-VRM: Wideband Variable-Rate Multi-Mode. Speech Coding Nicola Orio Dipartimento di Ingegneria dell’Informazione IV Scuola estiva AISV, 8-12 settembre 2008. Institut für Nachrichtengeräte und Datenverarbeitung Prof. Dr.-Ing. 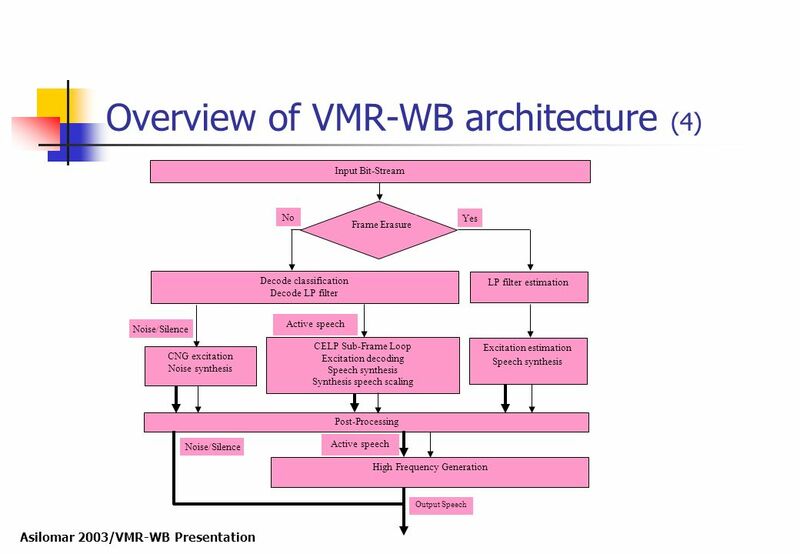 P. Vary On the Use of Artificial Bandwidth Extension Techniques in Wideband Speech.